Even though I'm living in Key West now, it's hard to keep my mind on anything but the recent storm in the northeast. Both my parents are okay, but even so, I've done a lot of long-distance worrying. Lucy (my author) and I are both New Jersey natives and absolutely sickened by the reports of the devastation on the Jersey shore. We feel terrible for the people whose homes were ruined by the flooding or had their houses washed away completely or even had friends who decided to wait the storm out but just plain disappeared. Lucy grew up on the beach and the boardwalk at Seaside Heights and Seaside Park. She likes to brag about how kids could take their report cards to the boardwalk where they were given a ticket for a free ride for each "A". (Of course she got a lot of "A"'s, or she wouldn't be telling the story.) Now the ferris wheel, the tilt-a-whirl, the cotton candy machines--all that is gone. And it's strange and scary to be reading about this tragedy happening in my home state, when I live in a place where hurricanes brush by so often. Key West sticks so far out in the ocean--we almost expect that we'll get hit once or twice in a season. But New Jersey? Sheesh. All I can say is, we'll keep those folks in our prayers. If you'd like to read an account of a volunteer on the spot, here's a good one. With lots of links about how we can help too. 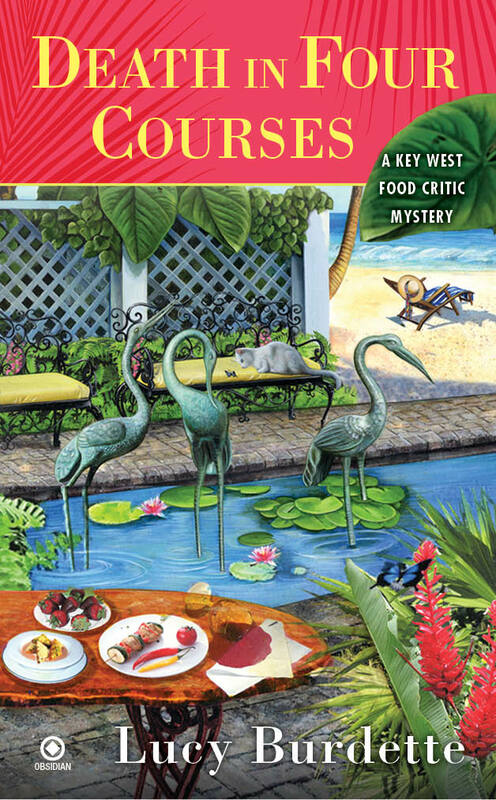 The Key West mysteries including AN APPETITE FOR MURDER and DEATH IN FOUR COURSES feature food critic Hayley Snow. You can read more about her on Lucy Burdette's website, where you'll also find links to buy the books! Rita and the entire Zydeco staff are keeping everyone affected by the storm in their prayers, as am I. Thanks--sometimes that's the best we can do! I hope that as people rebuild, they keep in mind the power of water and wind. It is so unbelievable that so much destruction can happen in such a short time. We're all sending positive thoughts out to all who have been touched by this.